Did you guys know I wore glasses? I have always been nearsighted and I’ve had a pretty heavy duty prescription since I was a young girl. I wear contact lenses most of the time, but I wear glasses in the evenings and when I’m chilling at the house with Gregg. 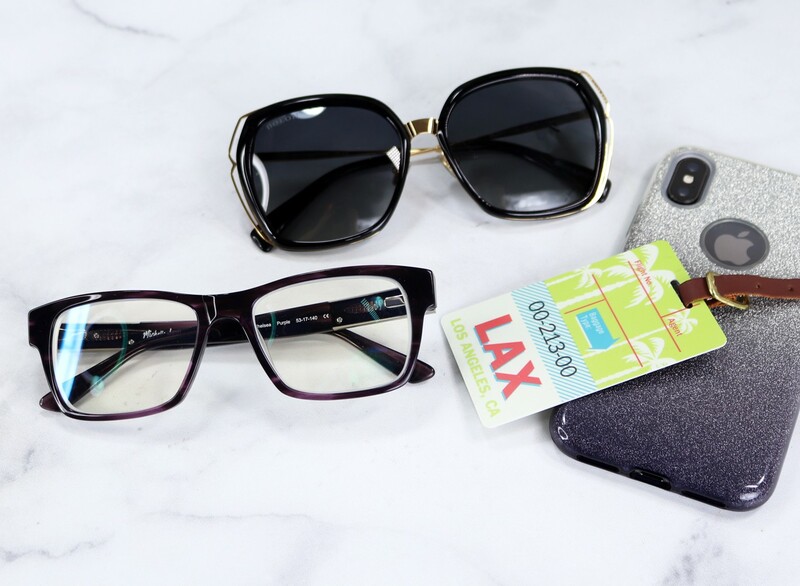 I don’t buy new glasses all that often, since I usually spend my yearly budget on contacts, BUT I just learned about Coastal eyewear, an online shop that has designer eyewear at really amazing prices. Like really amazing. Some of their glasses are as low as $19 AND they are buy one get one free! Not only that, but they give a pair of glasses to a person in need every time you buy. So, I recently got some brand new prescription glasses and sunglasses from Coastal Eyewear. They sent me these beauties as press samples to review, but their prices and selection are making me rethink my eyewear habits. I have something called neovascularization, which basically means I wear my contacts TOO MUCH, and my eyes have created new blood vessels because they are starved for oxygen. The end result is bloodshot eyes that no eyedrops can help. 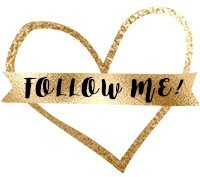 I know – pretty lame, right? So yeah – I need to wear my glasses more, and my contacts less! Coastal Eyewear is the largest eyewear company in the world! They have a really cool MyFit tool which helps to narrow down the frames that will fit correctly by using the numbers from a pair of glasses that already fit you well. They have a huge selection, so it’s nice to be able to whittle it down to the exact size you’re looking for. 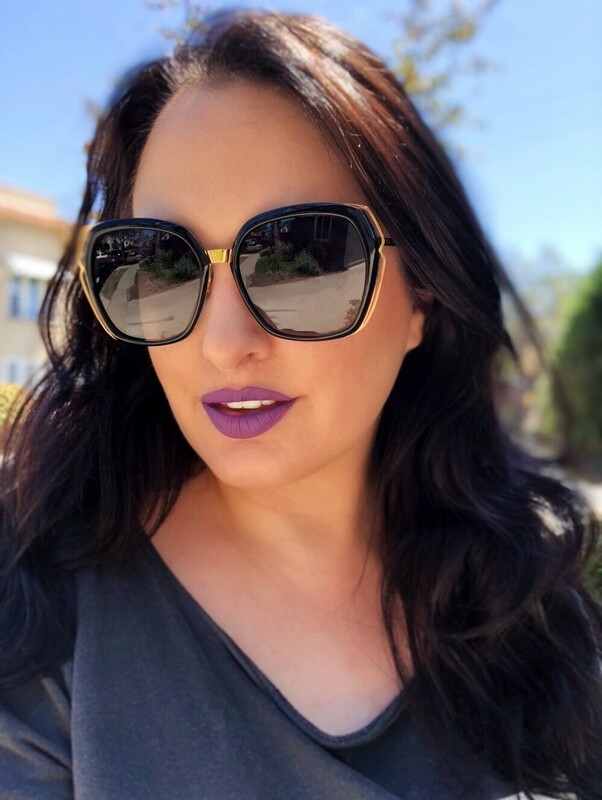 I picked out the Michelle Lane Chelsea glasses in purple with my prescription – with the Blue Reflect lenses. And, I got the Bolon 6017 sunglasses in black (no prescription). Let’s talk about the Chelsea glasses first. They are super nerdy in the best way possible – definitely in the sophisticated hipster nerd, geek-chic category. I really love a square shape for glasses because it makes my face look more narrow and oval-shaped. I feel like it balances out my face nicely. I like the metal plats on the sides – it just makes them look expensive (even though they are only $70!). There are also spring hinges on the sides that make these super comfortable to wear. I got the purple pair, but they are dark, so you really only notice the purple on the bottom or in direct sunlight. I’m really excited about the Blue Reflect lenses. They block out glare and blue light from digital screens and artificial light. Perfect for someone who spends a lot of time staring at computer and cell phone screens late at night. Know anyone who does that? Oh wait – definitely me! When you let a lot of blue light into your eyes late at night, your body may not realize it’s night time and may not produce enough melatonin (the hormone that makes you sleepy). That means, you won’t get your beauty sleep, and you’ll wake up feeling groggy and not ready to handle that 8 am conference call. But wearing these types of lenses at night can help that, AND they can help prevent eyestrain, headaches and dry eyes! They have a faint yellow hue, but it’s hard to even notice unless you hold them up to a pure white surface. In contrast to the eyeglasses that I don’t buy often enough, there are sunglasses – something I buy WAY too often! I seem to collect sunglasses and I’m always looking for new ones to add to my growing collection. 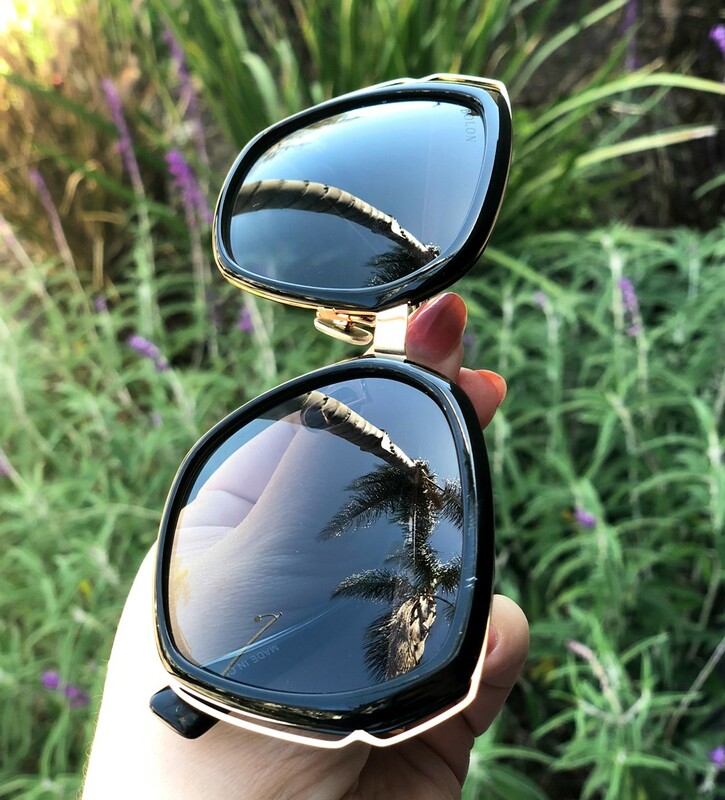 I really love oversized sunnies, so I was excited to try the Bolon 6017 sunglasses in black. The Bolon sunglasses are polarized, to protect my peepers, and they have the coolest gold wire accents on the size. 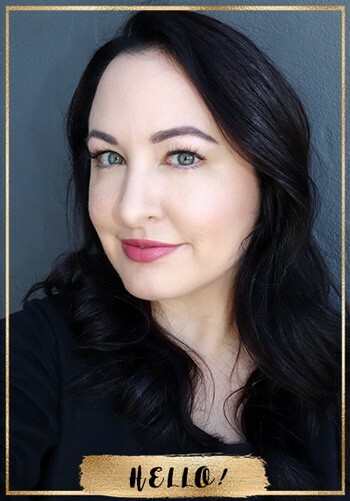 The style is described as an “oversized, squared-off butterfly shape that looks beautiful against round faces.” Sounds perfect for me! They also have nose pads, which is great because I have a small nose, and most glasses tend to slide right off. 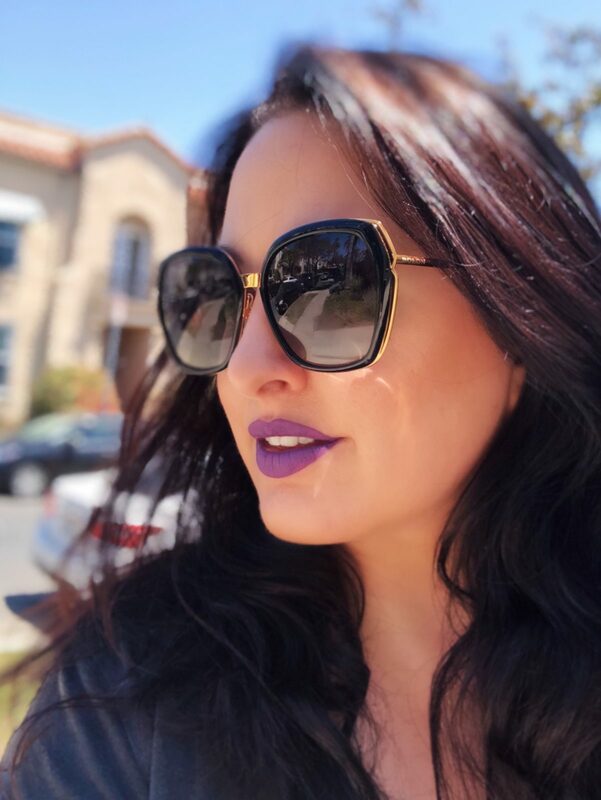 I feel like these sunglasses have an edgy vibe that could go with any modern goth, pinup, glam or even ’70s look. They pair well with my Kat Von D lipstick! One of the best things is that the glasses don’t touch my cheeks, which is a problem I have with most oversized glasses. I am SO happy about that, because as an acne sufferer, I don’t want anything touching my face! 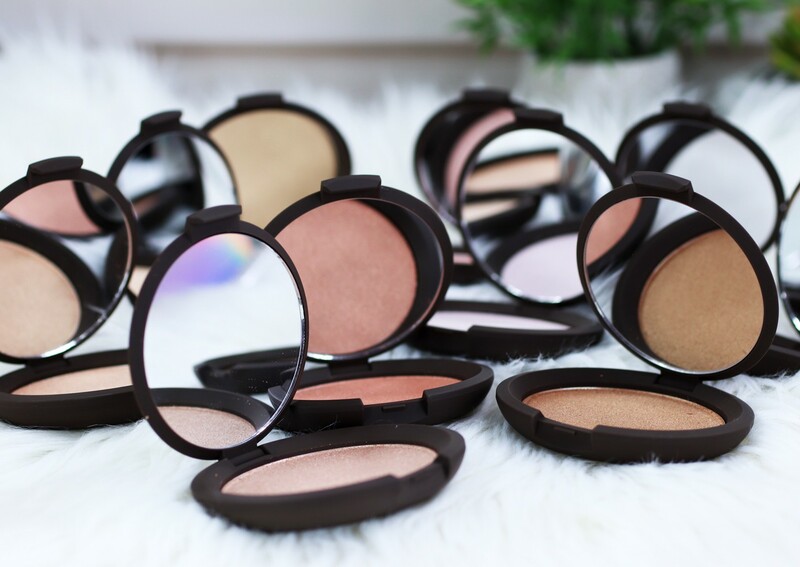 When you wear your shades out in the world, your makeup, sweat and natural oils can build up, and you want to keep that away from your face as much as you can. Obviously, you should clean your sunglasses regularly, but we all get lazy sometimes! 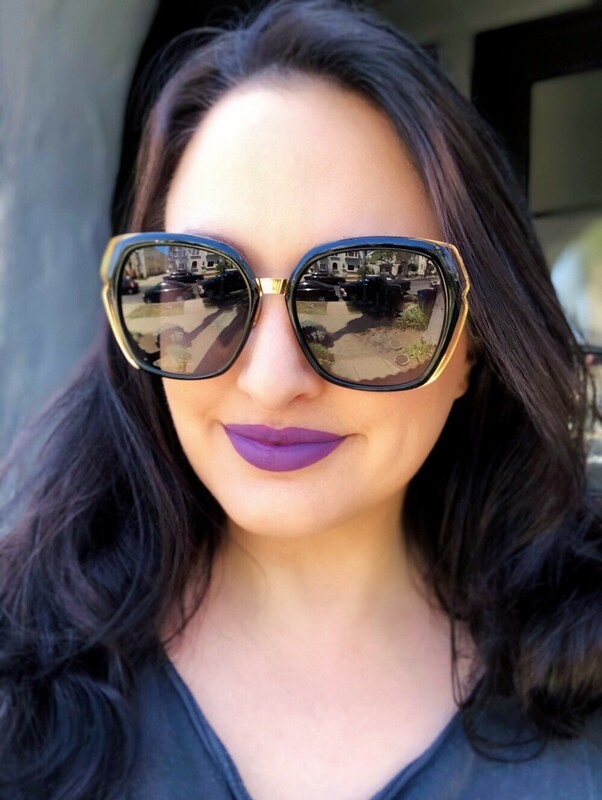 The Bolon sunglasses are so big that they cover two of the main areas where I have melasma (brown spots on the tops of my cheeks that are made worse with sunlight), which is another huge benefit. I wear sunscreen, but this gives me even more protection from the hot Los Angeles sun! 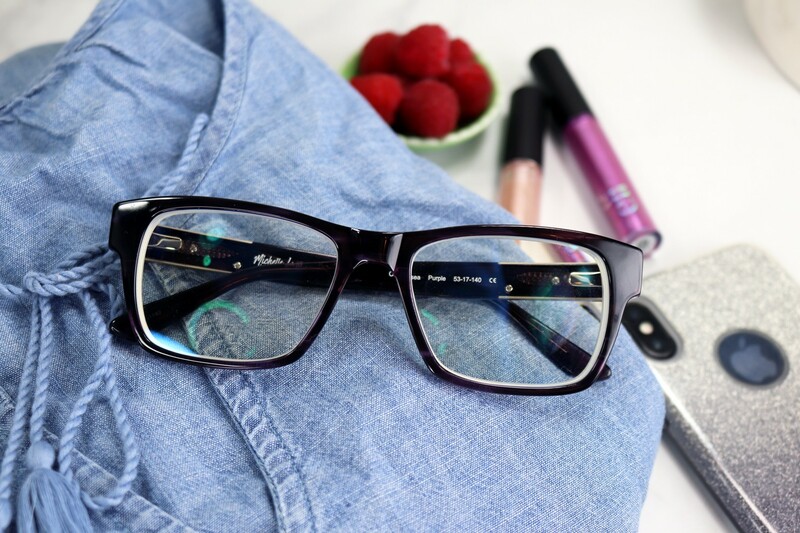 If you’re ready to build up your eyeglasses and sunglasses wardrobe, give Coastal a look. The selection is amazing, prices are great, and they give a pair of glasses to a person in need every time you buy! 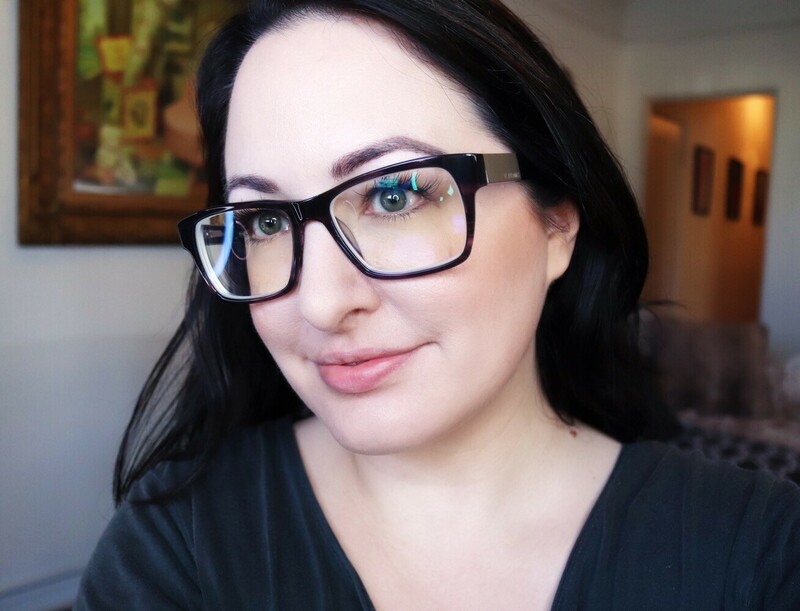 Use my code BEAUTYBUNNY for 30% off glasses frames and lenses. Expires May 31, 2018. I love both pairs of your glasses! I need a new pair of prescription glasses so bad! I only wear glasses and I would love the flexibility of being able to wear different frames like these. I know the width I need so hopefully there’s a simple way to find out where the axis needs to be. Having to wear progressives makes buying glasses an expensive thing in my life. I love how these look on you. We’re the same, I’m also near-sighted and wear contacts. I also wear glasses every now and then. I like the style of the sunnies! I have a similar nerdy glasses in black. I really like the shape of both of those frames! I’ve been looking for a new place to order from online! Most companies don’t seem to have frames that fit my face (I have a narrower face) but I’ll check these out! Those sunnies are gorgeous! I love oversized frames so I am totally biased here, haha! I love oversized sunglasses, especially polarized ones. I’ve been on the fence about getting some progressives so I’m going to check Coastal out.